We’re delighted to share the results of our ninth annual photo contest, held in January 2019. The contest was open to everyone who participated in our 14 trips in 2018 to Cornwall, the Luberon, Chianti, Alsace, the Cotswolds or our European Christmas Experience trip. The rules for this year’s contest were the same as previous years. Each traveler could enter one or two photos that best represented their personal experience during their trip; they were also asked to provide a few sentences about their photo and why the experience was meaningful to them. Our daughter Kelly Wood managed the contest again this year. The two of us (Kathy and Charley) were the judges. We didn’t know who submitted any of the photos, and we worked together to determine the final group of winners. This is the second year we’ve worked together to judge the contest. It’s a fun project, but also very challenging… and although we agreed on most photos, we also had some different opinions to discuss. Some photos are outstanding from a technical standpoint, and so many of the descriptions are thoughtful and inspiring. But most importantly to us, every photo and its description represents a unique memory shared by one of our travelers. It was very hard to choose only 15 photos for special prizes. 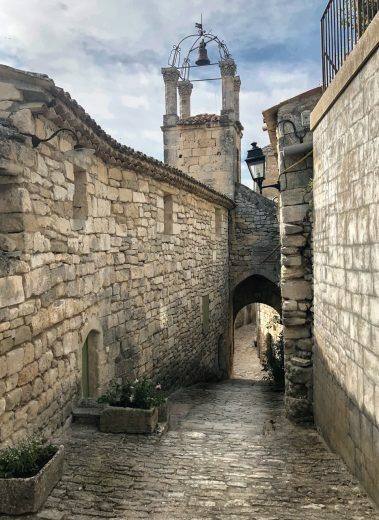 As always, there was a wide variety of photos submitted, representing many different aspects of our European Experiences trips: beautiful scenery, picturesque villages and towns, nature, food, people and more. Some photos focused on big vistas and others focused on small details. This year we had quite a few photos that included cats! We first worked independently to review all the photos and identify our favorites. Then we worked together to compare our thoughts and make our final choices. We selected 15 photographs that reflect the broad scope of a European Experiences trip, considering first the photo and then also the description. We wanted to represent all our destinations and to include photos different than those highlighted in recent years. Kelly helped keep us on track, since we could select only one photo from each person, which also required some adjustment in our choices. Congratulations to Patti Dalton Riblett of Knoxville, Tennessee, our 2019 grand prize winner! 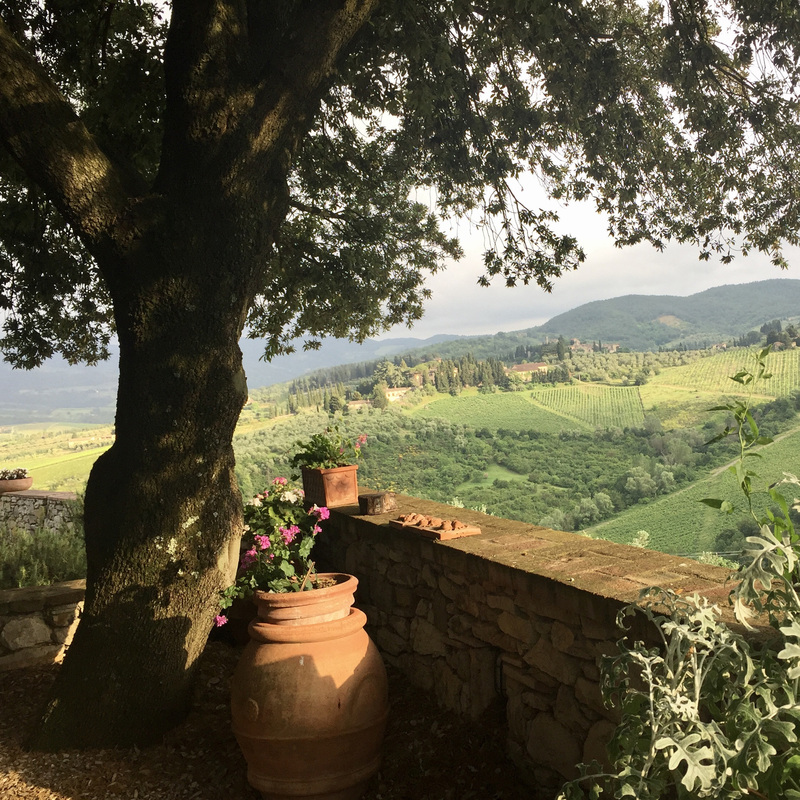 Patti’s winning photo is of a beautiful view of the countryside, taken from Castello di Colognole where our group enjoys a special dinner with friends during our Chianti Experience week. 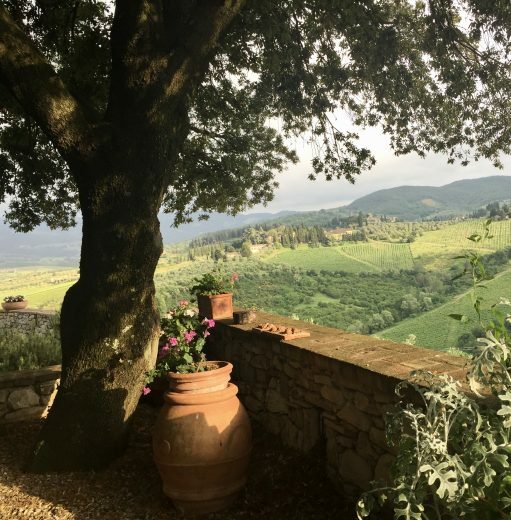 The Chianti Experience was Patti’s fourth European Experience trip. 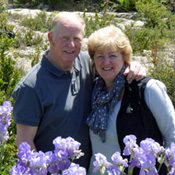 She and her husband John also joined us for The Luberon Experience in 2014, The Cotswolds Experience in 2o16, and The Alsace Experience in 2017. 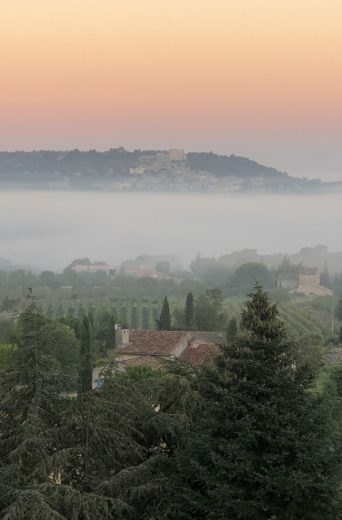 Patti’s prize is a $500 credit on a future European Experience trip, which she’ll put to use this year when she and John join us for The Cornwall Experience in April and The Luberon Walking Week in September. 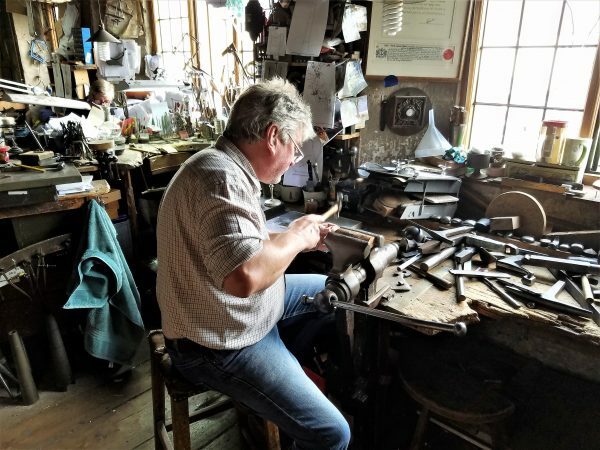 Dale Davis from Knoxville, Tennessee, USA, for his photo from the silversmith shop in Chipping Campden during The Cotswolds Experience. This was Dale’s fourth European Experience trip. 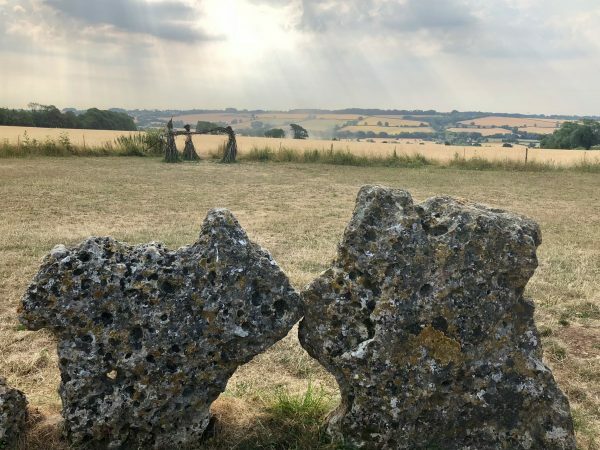 Helene Clayton from Concord, Massachusetts, USA, for her photo at the Rollright Stones, also from The Cotswolds Experience. This was Helene’s fourth European Experiences trip. 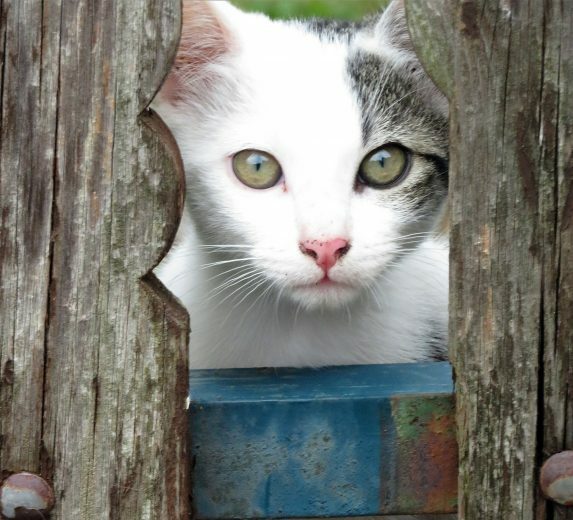 Eric Schuman of Salem, Oregon, USA, for his photo of a kitten in Ribeauvillé during his Alsace Experience week. This was Eric’s second European Experiences trip. Eleven other photographs were selected for special recognition in this year’s contest. These travelers each won a $50 Amazon gift certificate (or a $50 credit on a 2019 or 2020 trip). See all 15 winning photos below, along with what each traveler had to say about the experience represented in their photo. Winners are listed in alphabetic order in each category. Thanks so much to everyone who participated in this year’s contest! 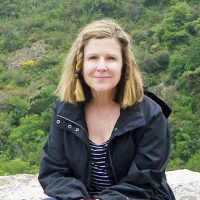 Special thanks also go to Kelly Wood for her excellent support for this year’s contest. She’s always been an important member of our European Experiences team! This is one of many vistas that captured my eyes in Tuscany. Taken in the courtyard of Castello di Colognole, it preceded an authentic Tuscan dinner lovingly prepared by sisters Rita and Rosita. Watching the silversmith in Chipping Campden using old tools that were used by previous generations held special meaning for me. I watched my father at his workbench when I was a young boy and have inherited many of his old tools and just a little of his talents. 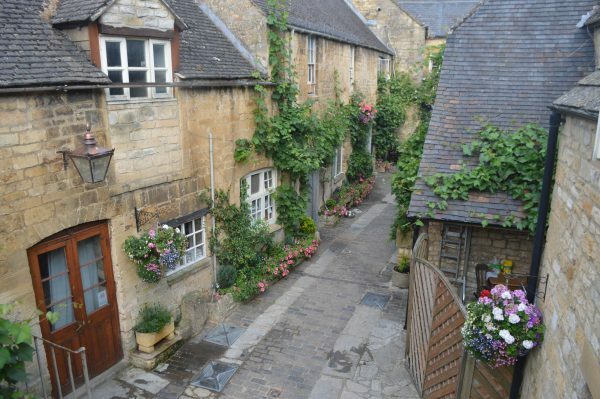 It takes you back in time to a simpler place and represents the peaceful lifestyle in the Cotswolds. It has three castles and a bakery to die for. Ribeauvillé is as colorful as an Alsatian village can be, but one of the greatest joys of travel is discovering the unexpected. This brave, curious kitten charmed us as she peered through the slats in the fence at the delighted members of our little group. Rollright stone circle in the Cotswolds. I loved the “kissing stones” in the ancient stone circle with the dancing maidens in the background. The weather during our visit was unusually hot and dry, but the golden fields in the background enhanced the ancient site. After a beautiful walk through the countryside to the base of Lacoste we rode to the top of the hill and a few of us chose to walk down. The town was like nothing I had seen before. It took me back in time. This is just one of the shots I got while there. I just loved the bell tower. This photo of the rugged Cornish Coast was captured as we were flying over to the Isles of Scilly. 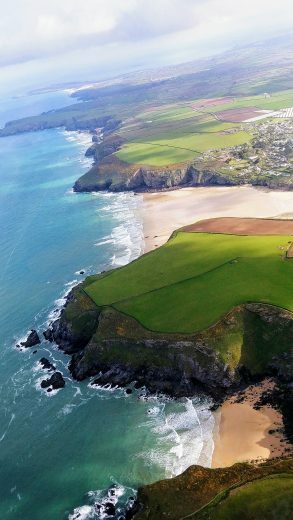 I just love the various colors from the lush green grass, the azure waters, cool sandy beaches and the rugged hard cliffs that are the mark on the Cornwall region. This trip was a grand vacation from start to finish! 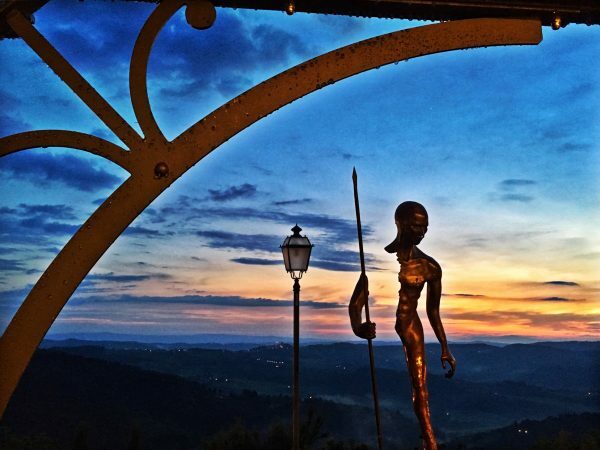 After a brief rainstorm, our group was treated to a stunning panoramic view of the sunset from the terrace of Ristoro di Lamole. The food was as spectacular as the vista. Our “Room with a View” at the charming 16th Century coaching inn, The Lygon Arms in Chipping Campden. This was a perfect base of operations for our week-long Cotswolds adventure. Each morning the view from our hotel window was different, and beautiful each time. This is one of my favorites! Why stay in a 1300 year old settlement like Kientzheim? 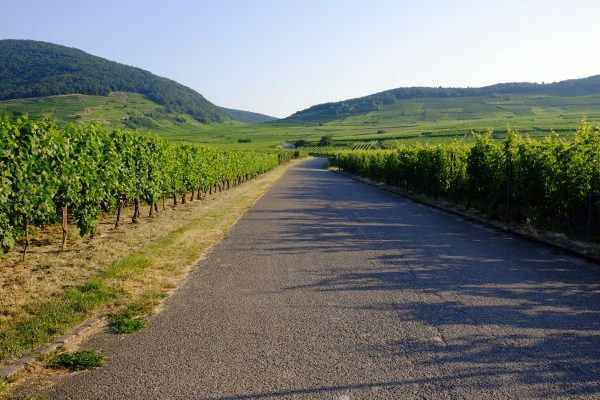 To experience the magic of a tiny Alsatian village while you savor the subtle hues of evening at the edge of the vineyards. With only 800 residents and few tourists, you can be assured of a unique experience. The view from my window during our wonderful home for the week demonstrates the Tuscan life. Beautiful stone structures with an array of flowers is a typical find throughout the region. 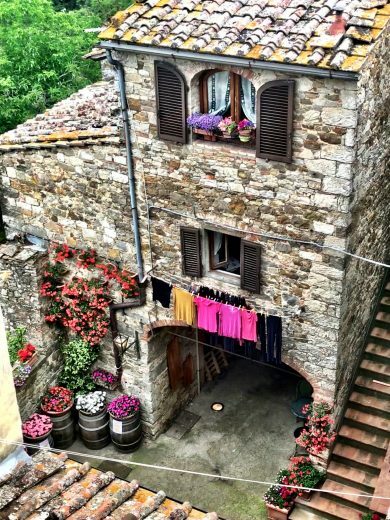 The laundry hanging is soaking in the warmth from the Tuscan sun. Definitely a view I could wake up to every morning. 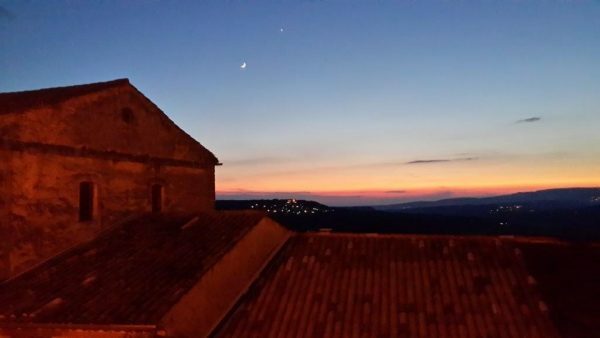 In the stillness of our last night in Bonnieux, as we walked back from dinner, the Universe treated us to a show above the village of Lacoste, as if the beauty of the previous days might not have been enough. 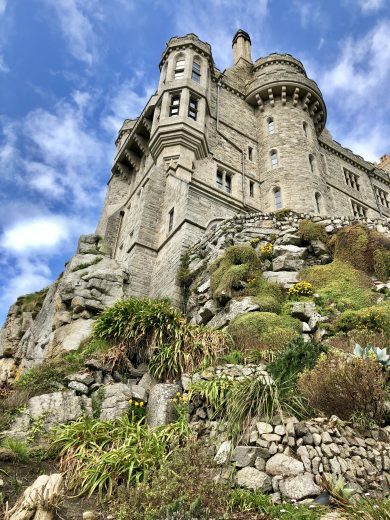 This photograph was taken at Saint Michael’s Mount. To me the Cornwall Experience represents the beauty of strength, softness, and optimism of a region and people. This photograph depicts all of those qualities. The strength is found in the castle and its longstanding ‘life’ on a rugged Bay. The surrounding gardens in their sub- tropical softness is a subtle reminder of renewal, and a sky, although ever changing, brings the optimism of a new day. After a busy morning touring the Rezidenz, former palace of the Bavarian monarchs, and visiting a Medieval Christmas Market, our group was ready for lunch. Kathy and Charley led us to Cafe Luitpold, said to be one of the most traditional cafés in Munich. 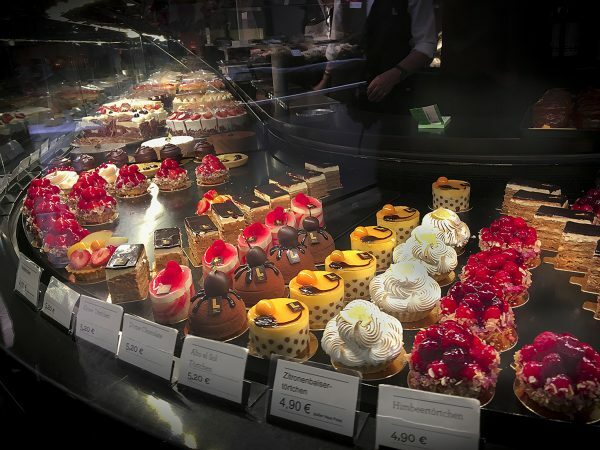 The dessert counter– extending 10 meters and holding an unbelievable selection of pastries, cakes, tortes, strudel, fruit tarts and more– was by far the highlight of our visit to this stylish and elegant cafe. The desserts were a feast for the eyes as well as for the palate! It was almost impossible to choose! What could be more fun than a trip to the Fleece Inn for dinner in a historic pub, now part of the National Trust, with its timbered low ceilings and ancient pewter on display? The answer— dinner and an unexpected opportunity to see Morris dancing in the courtyard of the Inn. 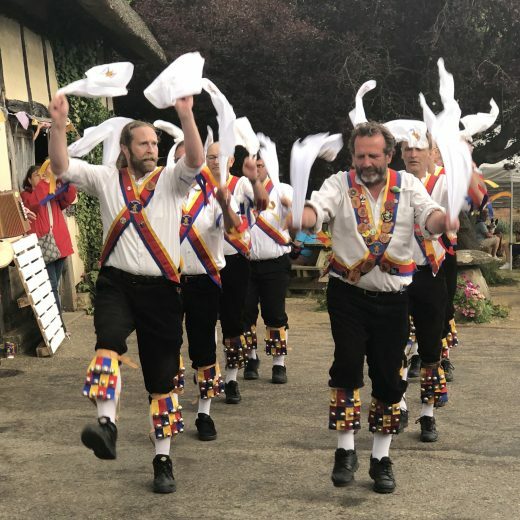 Led by the Inn’s landlord, Nigel Smith, the traditional folk dancers sometimes carried sticks and sometimes handkerchiefs, but always danced to the music with enthusiasm. Click here to see a slide show of all the entries. We hope you enjoy these different perspectives our photographer offered of their European experience! Thanks again to everyone who shared their memories and entered our contest. Everyone who entered will receive a special gift.